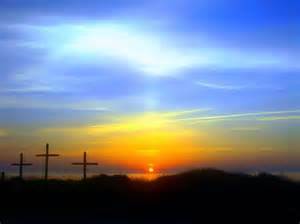 Sunday, April 5 – Easter Sunday: Sunrise Service at Waterman Nature Conservancy, Hilton Rd., Apalachin, 6:30 AM. Our churches will be joining with the Little Meadows, Apalachin, and Whittimore Hills UMCs for this service. Breakfast will follow at Little Meadows UMC. Who does “one another” mean?